The property is one villa that has been sub divided into two separate villas, each sleeping four with their own kitchen and bathroom, making it an excellent choice for two families or friends sharing. The two villas are linked via an internal interconnecting door. The pool and outside area are secluded and not overlooked by other properties. 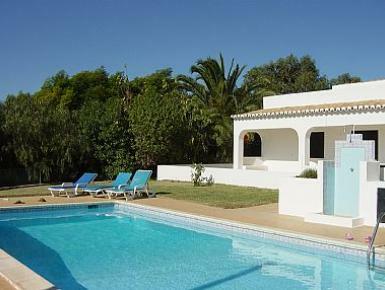 The villa is set in its own grounds and off the beaten track. The whole property consists of two master bedrooms, two twin bedrooms, two bathrooms, two lounges each with access to the pool and garden and two kitchen/dinning rooms.